The TV is seemingly in every home, but choosing the best TV service can be a knotty undertaking. You’ll need to determine local availability and the right fit in good connection and delivery method. Then you may have numerous providers, plans and deals to compare.The distinction between these is easy to spot but is oftentimes dismissed by unknowing and eager users that just want their home to have TV available as soon as possible. Choosing satellite TV over cable is not a surprise these days. Although Cable TV alternatives are costlier, still it has a few clear advantages. The most significant one is video quality, which at the end of the day is one of the most important things to many subscribers. When looking for a television service provider, it is important to compare a number of different features to find the best one out of all the available television service providersfor your home TV. Whatever you love to watch, get a better home entertainment experience when you compare DirecTV with other cable providers in your area. Whether it’s on the field, on the diamond, on the court or anywhere in-between, you can get more of your favorite sport from DirecTV. DirecTV Everywhere- This feature allows users to view what they want to view on any screen they choose to use. As long as it is connected with Internet, it is possible to watch your favoritemovies, shows on On Demand, and even live TV. It is also possible to watch previously recorded DVR shows. DirecTV Cinema- For movie lovers, this is one of the best features. It provides the subscriber access instantly through Pay Per View releases to many of the movies they want to see. Titles get updated every month before they hit other services such as Redbox or Netflix.Additionally, subscribers have access to 1080p HD quality. They can watch movies on laptops, cell phones, TVs or tablets. Whole-Home DVR – With this feature Whole-Home DVR, users are able to watch their HD DVR service on any TV in the home. The TV you set the recordings on is not the only TV that provides you with access to those shows like other DVR systems provide. On Demand – DirecTV On Demand provides users with ample access to the shows, sports, and movies they want to see when they want to. There are thousands of TV shows, big screen movies, and much more to explore with DirecTV. It is possible to watch shows that aired in the previous 72 hours as well, in case DVR is not set to record them previously. It is available through any Internet-connected device. 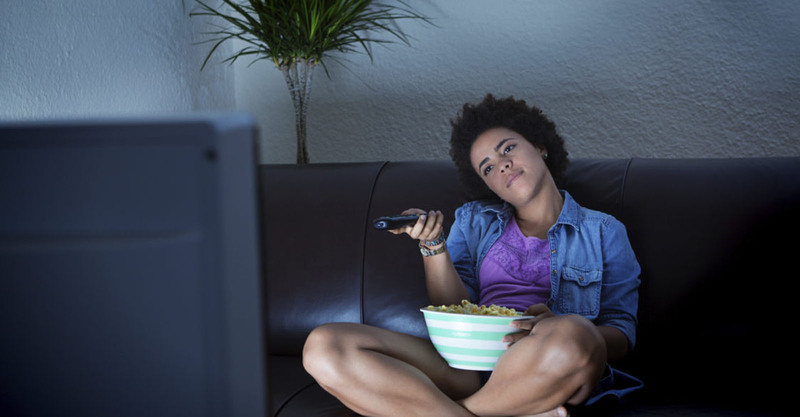 With CenturyLink Prism TV, you have the power to control what you watch and when. We’re not just talking about local channels, special events or late night talk shows. CenturyLink’s state-of-the-art optic fiber technology successfully checks off all the right boxes with warp-speed channel change, on-the-go app, a wireless set-top box and whole home DVR. To see exactly what is in store for you, let’s have a closer look at CenturyLink Prism’sfeatures and benefits. Whole Home DVR:Prism’s Whole Home DVRconnects all of the televisions in your house with one DVR device to ensure that you record up to four of your favorite shows at once. With this, you can pause your show from your lounge, for instance when you get tired of watching, and then resume where you left off in your bedroom. The best part is that you don’t even have to be at home to record your shows that air during work times. You can still set recordings and reminders as long as you have internet connections. Wireless set-top box: Wireless technology is a blessing. With a CenturyLink Set-top box, you can watchTV from anywhere you see fit, be it in the lounge, in the garden, in your bedroom, even in the bathroom. Multi-View: With multi-view, you can view up to different shows from a single screen. No longer will you ever have to choose which to watch first. Warp-Speed Channel Change:If you’re one of those who experience a certain lag between channel flipping, then CenturyLink Prism has just what you need. Thanks to its warp-speed channel changefeature, there is practically no lag whatsoever when you switch between channels anymore. Video Caller ID: CenturyLink Prism allows you to view a caller’s name and photo right on your TV screen before you even go to touch your phone. Picture-in-Picture Navigation:You and your family are at odds to watch both of your favorite shows at the same time and you can’t seem to come to a compromise. Thankfully, Prism TV’s picture-in-picture navigation is just the solution to your problem. Personalized Media Sharing:Now share all of your favorite photos, songs and downloaded movies from your PC right on to your TV screen with your friends and family. Find-it-Fast Navigation:Sometimes, you know what they want to watch but other times, you want to gloss over the guide and find what you want to watch. Prism goes a step further by providing viewers with a user-friendly navigation bar where they can search for their favorite film, actor or genre and then set up recording time for it right from the navigation screen. Because Prism TV is powered by optic-fiber technologyyou will get nothing but crystal-clear HD-picture quality and theatre-esque sound. Other than that, you can watch up to four shows at once, use the Wireless Set-Top Box to watch TV anywhere at home and access Prism entertainment on any Prism on the Go device. There is hardly anything that XFINITY TV lacks. It is a top notch entertainment service that ensures complete entertainment all the time for all the members in the family. It can be used on multiple devices and is a perfect service that allows access to limitless viewing entertainment, anywhere, anytime. With already unlimited reasons to buy a package, Dish TV has still plans to improve their products and services to ensure maximum convenience and entertainment to their subscribers. They are dedicated in providing affordable plans to suit different demands. So, if cost is no.1 in your selection list, you might find the perfect plan with Dish TV.Don’t worry because for sure, quality will not be compromised. Check out some of the reasons to buy a Dish TV plan now. Subscribers are guaranteed with the signup price for up to 2 years regardless if you add another TV service to your plan someday. In addition, Dish TV has been known to be consistent and transparent in setting up and publishing their product prices.So, whatever you see in their list, you get it. The whole family gets to enjoy unlimited TV viewing in high-definition. All the available HD channels will be added to your plan without hidden costs. Because Dish TV does not only care about your entertainment experience, they give every subscriber a 6-month Dish Protect (Silver)for FREE. It is to make sure that every user gets their identity, electronics, and digital property well-protected from the start. Aside from the aforementioned, Dish TV also boasts their Digital Video Recorders (DVR). Their Hopper 3 has more storage and is possible for more simultaneous recordings compared to others. It comes in a voice powered remote with a locator button you can use when it gets lost. When it comes to COX Contour TV, there is hardly anything that it lacks. It is a top notch entertainment service that ensures complete entertainment all the time for each and every member of the family. It can be used on multiple devices and is a perfect service that allows access to limitless viewing entertainment all the time. In recent times, there has been incredible transformation in the entertainment industry. This is with respect to the TV programs, movies and series platforms where due to advancement in technology, the extent of viewership as well as quality of viewing contents has increased. In order to enjoy this advancement, a person requires to obtain an outstanding TV with some inbuilt features to guarantee optimal. One of such TVs is the Charter Spectrum TV. Charter Spectrum Tv is a product of Charter Communications which is the America’s fastest growing cable TV, internet,and Voice Company. The companystates that it is always committed to integrate the highest quality service with superior entertainment products. It is worth noting that this company is unique in the sense that they offer more HD content more than any other provider. There are also over 200 HD channels that are at your disposal. This means that you can comfortably glide through your sports, news, animation and even educative channels without exhausting the list. In this, Charter Communications do not charge an extra dime for the HD content. The company has also been able to introduce a DVR package. This works by setting your DVR to automatically record shows or even series. This is quite cool as you can simply stop, pause and rewind live TV at your own leisure. Additionally, the TV package gives you the ultimate control of your TV set as you get instant access to thousands of movies and shows on demand. Moreover, there is the free prime time on-demand offerings from renowned brands in the industry such as NBC®, ABC®, CBS®, FOX® and more. Another thing that is unmatched with Charter Spectrum TV is that there is a spectrum pay per view feature where you have access to live concerts, epic fights, and even comedies. Charter Spectrum TV brings everything all under one roof at pocket-friendly prices. You get to stream movies, shows and TV channels totally in HD. As it were, this company is the best when it comes to cable TV as its efficient yet cost-effective. When it comes to choosing a cable TV service provider, there are many features to consider and plenty of options available. Many people think about the channel lineup, ease of navigation, service plan commitments, and company ingenuity when selecting a cable TV service provider. Comcast offers all that you require for the clear choice of your cable needs. One of the many advantages of choosing Comcast as your cable provider is the array of channels available as well as the simplicity of navigating the channel lineup. With Comcast’s Xfinity TV, there are a number of attractive plans to choose from that offer different combinations of channels which suits your cable needs. Whether you are a sports fan or can’t miss the latest reality TV show, Xfinity TV has the channel lineup you are looking for. Comcast cable TV services are simple and easy to use. Another advantage of choosing Comcast as a TV service provider is the flexibility it offers to its customers. As mentioned previously, Xfinity TV offers a variety of different plans to better suit your specific needs; Xfinity is committed to enhancing your entertainment options, offering services that you like, however you like, wherever you go. Additionally, Comcast offers the Comcast Customer Guarantee. We are committed to providing you with a consistent and quality customer experience. Do you have troubleshooting problem or inquiries on your service plan? If for any reason something goes wrong, we will work to resolve the issue quickly and as professionally as we can. We will always be on time within your appointment window. Having access to content anytime, anywhere is becoming increasingly important to customers. With certain cable service providers, customers are able to access their favorite programming anytime, anywhere. That means Customers are able to watch what they want on their television, online or even on their mobile device. With great channel lineup choices, easy-to-navigate services, flexible plans personalized especially for you and constant service improvements, Comcast is the obvious choice as your cable TV service provider. The added bonus of the Comcast Xfinity TV service is Customer Guarantee that assures you the very best service, or we will make it right. Choose Xfinity as your TV service today.